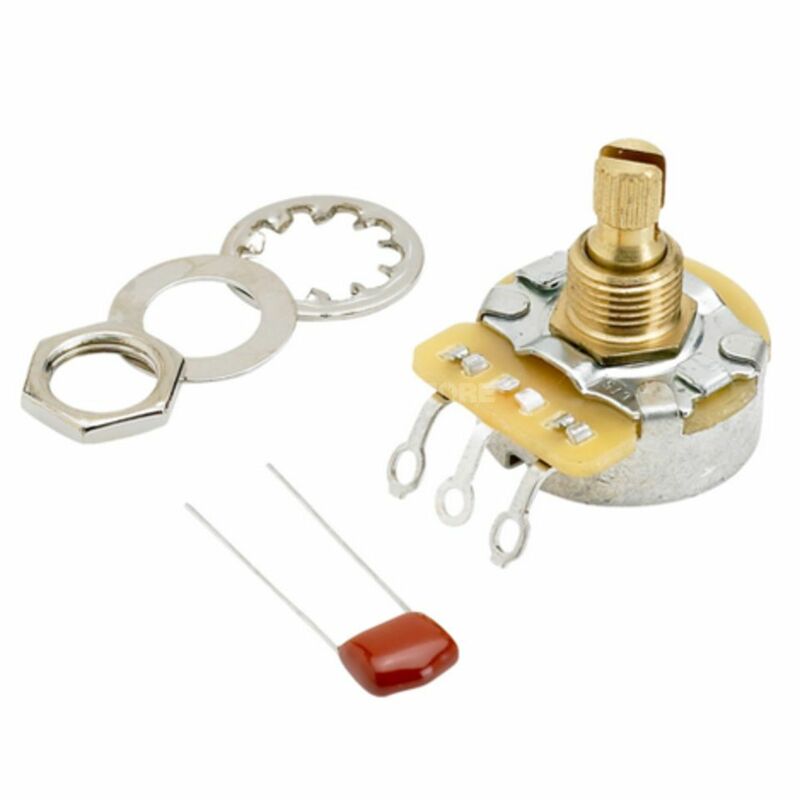 The Fender 250K No Load Split Shaft Potentiometer is an original Fender part for Volume or Tone controls. Installation is easy with the included mounting accessories and capacitor. An integral part of the Delta Tone system used on Fender American Series electric guitars, the "No-Load" potentiometer functions as a normal tone control from 1 to 9. At 10, however, the tone control is taken out of the circuit for increased output and overall tonal response. The 250K is usually associated with most single-coil pickups. 3/8" potentiometer shaft. Split shaft design. Works with push-on style knobs (no set screw). Mounting nut, washer, and .022mf 250V capacitor included. Fits nearly all Fender instruments (U.S. and Mexico) requiring a split-shaft potentiometer.